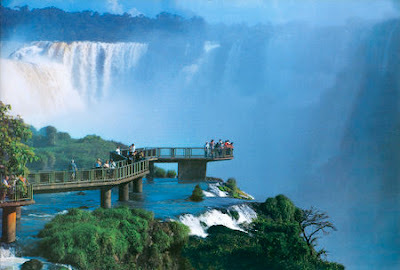 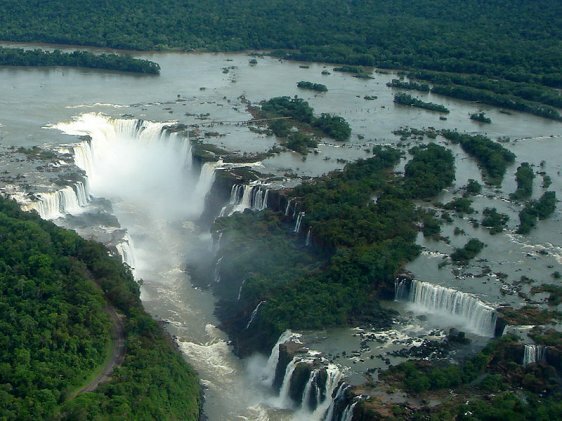 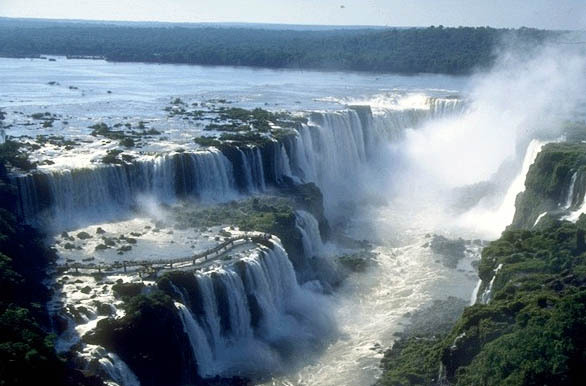 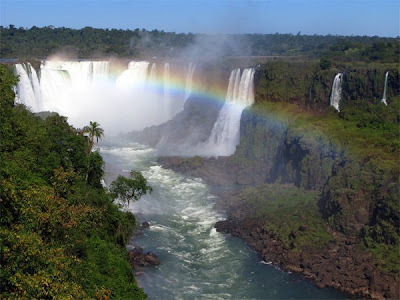 Iguazu Falls is located where the Iguazu River tumbles over the edge of the Paraná Plateau, 23 kilometres (14 mi) upriver from the Iguazu's confluence with the Paraná River. Numerous islands along the 2.7-kilometre-long (1.7 mi) edge divide the falls into numerous separate waterfalls and cataracts, varying between 60 to 82 metres (197 to 269 ft) high. 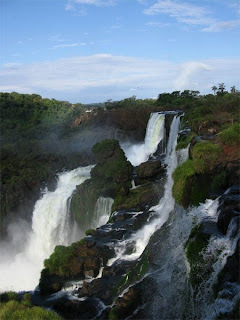 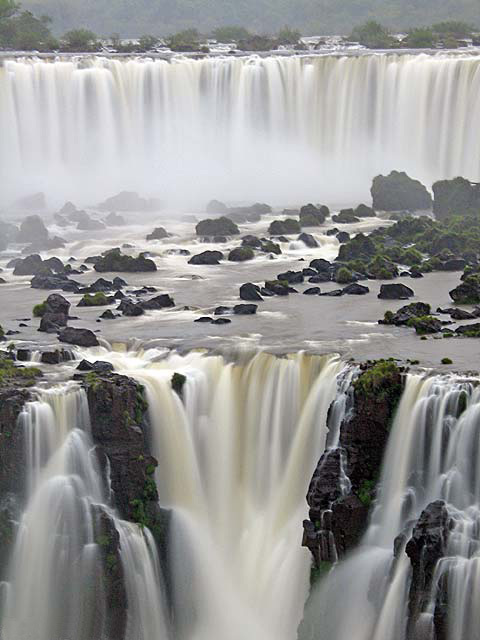 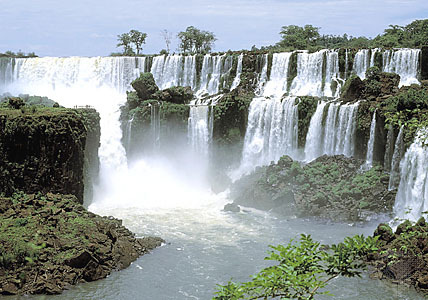 The falls divide the river into the upper and lower Iguazu. 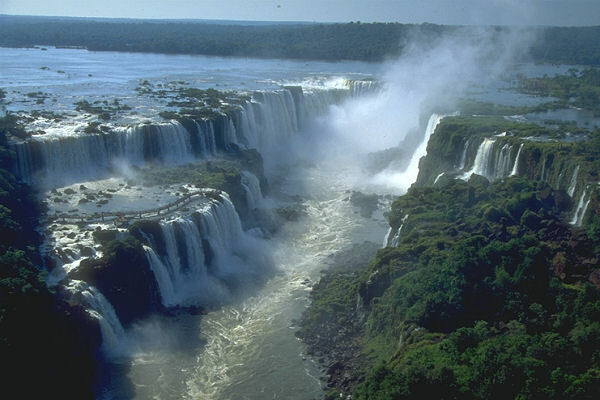 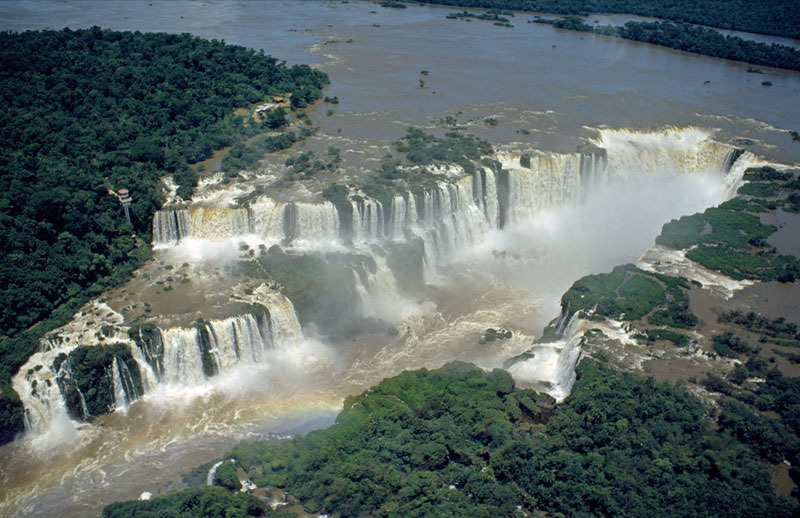 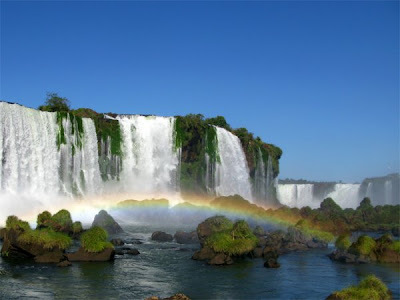 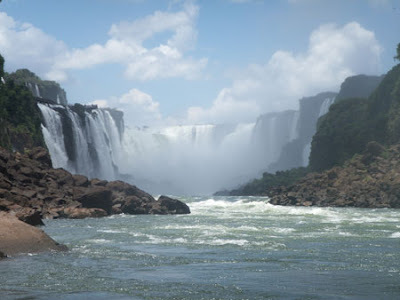 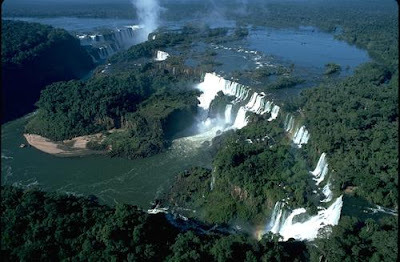 The Iguazu River starts at the city of Curitiba and runs for the most part of the course in Brazil and at the end at the border of Brazil and Argentina.The Iguazu River begins and sources itself from the area of Curitiba. The city sits on top of one of the largest aquifers in the world – the Guarani Aquifer. 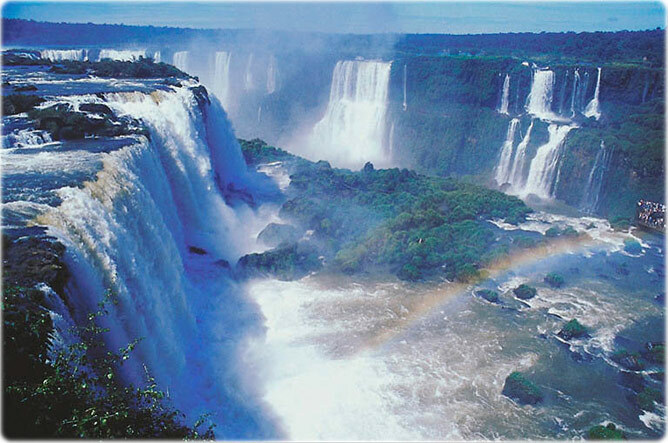 From there the Iguaca River travels to the confluence of the Parana River and forms the Iguazu Falls.